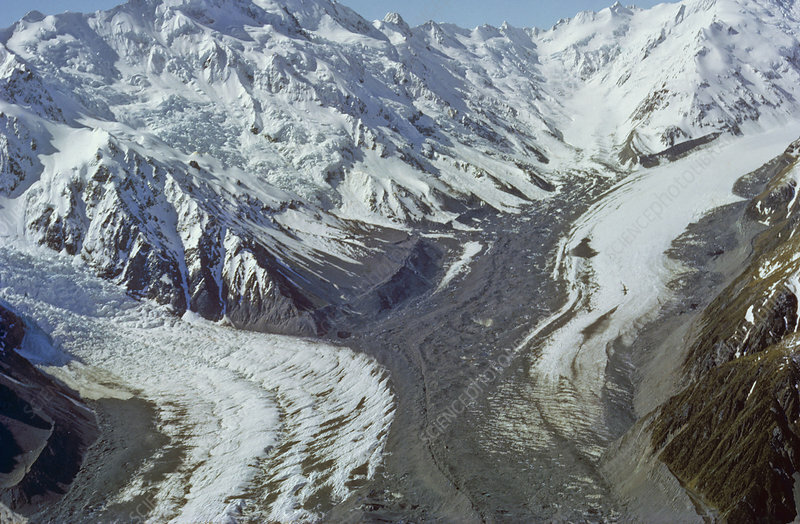 Aerial view of the Tasman Glacier on the right, Rudolf Glacier on the far left, and Hochstetter Glacier on the near left. Note the patterns of the lateral and medial moraines. New Zealand.